Welcome back to our Test Drive series, where we try a handful of brands in a category of natural products and compare the real-life results. 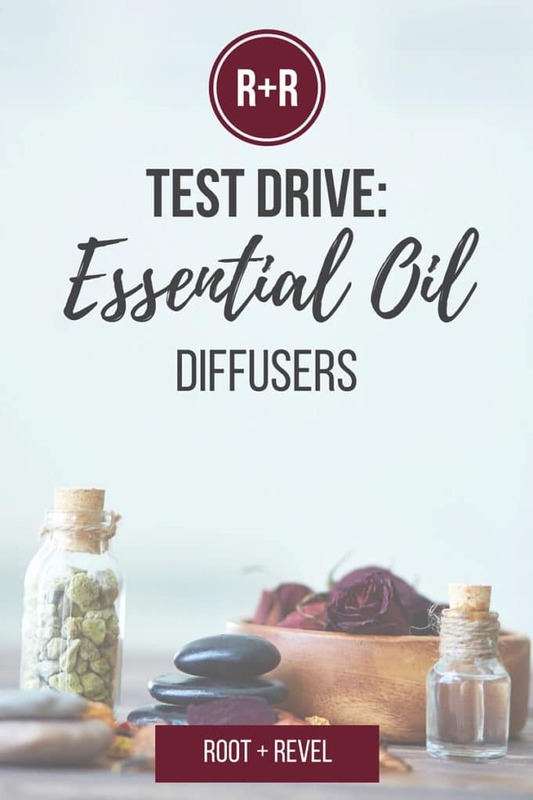 We started with natural deodorant, and today we’re taking essential oil diffusers for a test drive! 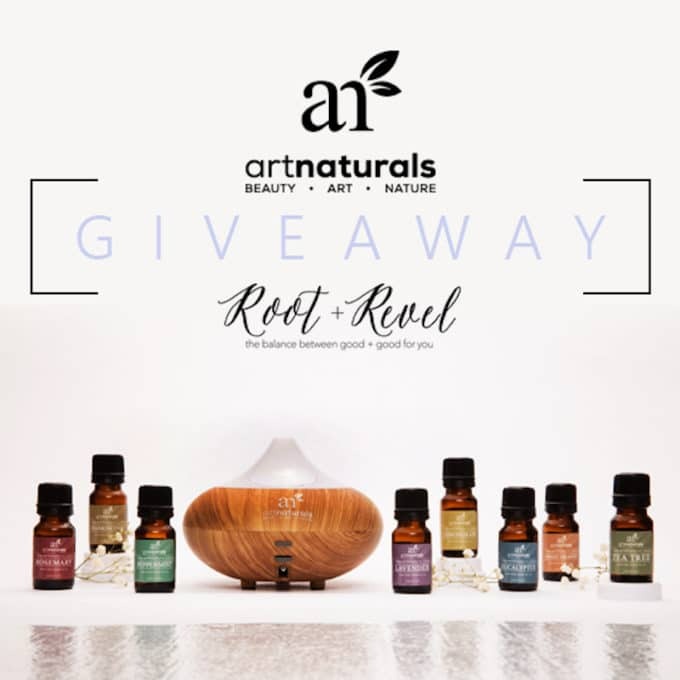 GIVEAWAY ALERT: SCROLL DOWN TO THE END TO ENTER TO WIN AN ART NATURALS ESSENTIAL OIL DIFFUSER + 8-PIECE AROMATHERAPY SET (A $47 VALUE)!!! Why use essential oil diffusers? 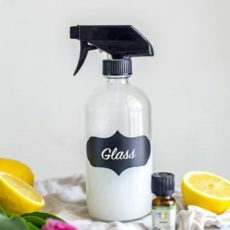 There are lots of ways you can make your house/office/bathroom/car smell fresh and clean, but like most store-bought products, many of the most popular options contain harmful ingredients, particularly synthetic fragrance. Manufacturers add fragrance mixtures to their cleaning products (and typically hide the full list of ingredients from consumers! 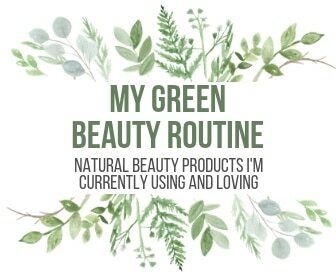 )–and, as I’ve blabbered on about before, synthetic fragrances often contain phthalates and synthetic musks, which have hormone-disrupting properties, and can cause allergic reactions, asthma and other respiratory issues in otherwise healthy people. Air Wick Plug-Ins: Rated an F by the EWG for the toxic chemical cocktail of harmful ingredients found inside, from sodium borate (may damage fertility or the unborn child, plus clear evidence of endocrine disruption, dermatitis and respiratory irritation) and mineral oil (this suspected human carcinogen is also damaging to the environment and causes respiratory and skin irritation) to fragrance and even propane and butane (contains impurities that are suspected human carcinogens and hormone disruptors). Febreze Air Refresher Spray: Rated an F by the EWG as it contains ingredients with potential for developmental/endocrine/reproductive harm, skin irritation, allergies and acute aquatic toxicity, including sodium borate, fragrance, Benzisothiazolinone, Trideceth-4, propane and butane. Glade Solid Air Fresheners: Rated a C by the EWG for poor disclosure of ingredients (HUGE red flag! ), plus it contains chemicals with potential for acute aquatic toxicity (Kathron CG-ICP), skin irritation, allergies and endocrine disruption (Fragrance) and cancer (Titanium Dioxide). Scented Candles: This one is MOST SURPRISING. Nearly all scented candles release mixtures of undisclosed fragrance chemicals into the air. To make matters worse, many candles are made with paraffin, a petroleum waste product that is a known carcinogen, and when burned, the toxins released from paraffin candles are the equivalent of those found in diesel fuel fumes. To add fuel to literal fire, many scented candles also have wicks that contain heavy metals, like lead, which releases five times the amount of lead considered hazardous for children and exceeds EPA pollution standards for outdoor air. Be on high alert for brands that use paraffin wax, from Yankee Candle to high-end brands like Dyptique. (TIP: If you insist on using candles at home, go for fragrance-free beeswax candles, which naturally purify the air. Some brands, like Bath & Body Works to Mrs. Meyer’s Clean Day, use soy wax, but there’s still the issue of fragrance). Alright fine, you may be thinking, I can give those toxic products up, but now how will my house smell good? Fear not! Clean, pure air has no smell at all, and that’s what we should strive for when we clean, says the EWG. Buuuuuuut sometimes an actual scent smells better than just nothing, right? More good news–there are many other ways to make your home smell clean and fresh, including using essential oil diffusers, which are safe, natural and super effective. Don’t worry, I’ve got your back! 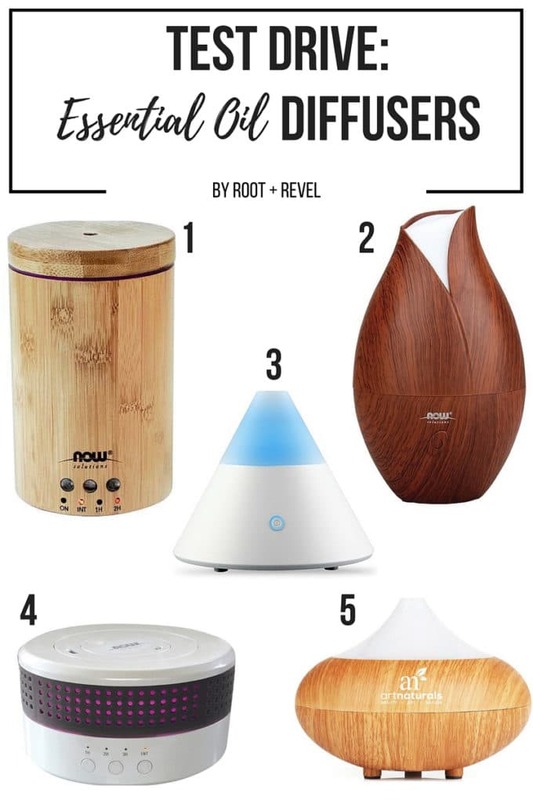 I rounded up five of the best aromatherapy air diffusers/humidifiers and compared their effectiveness, ease of use and functionality. Each of these diffusers rely on water and the natural fragrance of essential oils and aromatherapy blends to purify the air and leave it with a clean scent. Now Solutions Ultrasonic Real Bamboo Oil Diffuser ($37): This diffuser was aesthetically pleasing and nature-inspired with (like the name implies) real bamboo. 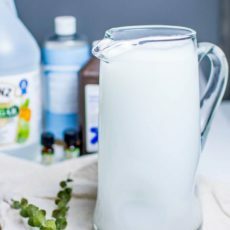 And, perhaps most importantly, it was super easy to add water and essential oils to–simply remove the top, add the liquids, place the top back on. Despite the diffuser being fairly small and unobtrusive, it ran the second longest of any of the diffusers I tried–14 hours using the intermittent setting, and 7 hours continuous. Plus there was 2 Timer Settings (1 Hr and 2 Hr) and an auto shut-off feature. It’s also BPA-Free and the LED lights were super subtle, which I liked. Now Solutions Ultrasonic Faux Wooden Oil Diffuser ($37): This diffuser was incredibly difficult to add water to, as you had to remove the reservoir and then turn it upside down to add the liquids, which meant you couldn’t do it with one hand while you simultaneously poured with the other. That being said, I loved that it automatically shuts off and runs for 8 hours, which is longer than most, though there’s no customization/timing settings. It’s also BPA-free and the look is pretty enough (the wood does look super fake), but I felt comfortable having it out on display. ZAQ Noor Essential Oil Diffuser ($45): I’m not normally one for super modern design, but this diffuser was so sleek and I loved that it was small enough to fit on my office desk without getting in the way. This diffuser was also super easy to add water and essential oils to, as you simply remove the top (which comes off without any struggle) and pour water directly into the reservoir. Though the diffuser did have the automatic shut-off option, there wasn’t much customization in terms of timing as it only runs for 4 hours and then shuts off. This was the most expensive diffuser of the ones I tried, but I did love that it was BPA-Free. And that you could turn the colored lights off, which is great for nighttime use. Now Solutions Ultrasonic Dual Mist Oil Diffuser ($36): This was my least favorite diffuser of the bunch. Though I appreciated that there are 2 mist nozzles that rotate 360°, I just really didn’t like the look of the unit itself. It was a bit cheap looking with an unattractive modern design that was super large on most surfaces. BUT, I could still appreciate that it was BPA-Free, had 3 Timer Settings (1 Hr, 2 Hr and 3 Hr) and shuts of automatically. It also runs the longest of any of the diffusers I tried–up to 8 hours or 16 intermittent hours. THE ESSENTIAL OIL DIFFUSERS WINNER: Now Solutions Ultrasonic Real Bamboo Oil Diffuser! Have you tried any essential oil diffusers? I’d love to hear about your results. Share in the comments below! 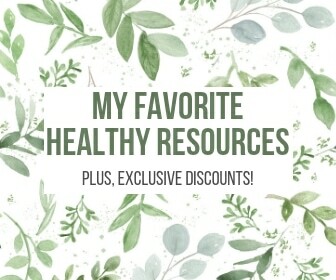 In fact, if you leave a comment on this post, you will be entered to win a free Art Naturals Essential Oil Diffuser + an 8-piece aromatherapy set, valued at $47. More information here and below. UPDATE: THIS GIVEAWAY IS NOW CLOSED. THANKS FOR PARTICIPATING. A word of caution: some people are allergic to essential oils, particularly tea tree and lavender oils, so before you use them, test the oils on a small patch of skin to see how you react. Likewise, the EWG suggests limiting use of old or light-exposed essential oils because air and sunlight break them down over time, producing more potent allergens. So store essential oils in a cool, dark place. It may also be beneficial to use the diffusers in well-ventilated areas to avoid inhaling too much of these compounds. USER TIP: Make sure you don’t fill up the water too high in your essential oil diffuser. It sounds obvious, but I had trouble with these diffusers because I thought I had the correct amount of water in, but it wouldn’t create the mist. When I emptied the water out and was extra careful not to overfill the reservoir, the mist came back. Doh! Do you have any recommendations for battery operated diffusers? Hmm, I don’t think I have personal experience with any! I would just google it and search on Amazon for reviews. Good luck! How are these to clean, particularly the winner? Does mold build up because of the use of water? I’ve never had a problem cleaning them. No mold either… I think because the water is used when it’s on and then empty when it’s off, there’s really no build up. I have the first 2 diffusers and love them both for different reasons. Both function well & use them often. The bamboo one is a beautiful little diffuser that I let people borrow to try out essential oils. Easy to use & unintimidating. Easy easy. The second one is my diffuser of choice for night time use. While it is harder to fill ( I fill it & set it is a small decorative bowl while I add the oils so I don’t have to balance it or risk dropping it or my oils) it is one of my favorites because I can let it run while sleeping. Perfect for when someone developes a sniffle or cough. I also love that it is contained and I don’t have to worry about someone spilling it. Thanks so much for sharing your experience, Toni. I’m all about ease of use 😉 So glad you’ve found some diffusers you love too! I see that all of your essential oil diffusers are water based systems, more or less the same type of diffuser in different looks. There is some great new fan technology being used for essential oil diffusion. The key to the effectiveness was the creation of a pad and fan combination that works together. We have created one of these and think you may find it interesting. We have a new MINI unit that is about the size of a pack of playing cards, and gives a powerful scent delivery. Here is a link to the product. Thanks so much, Eric. This sounds great! I’d love to learn more about your diffuser. 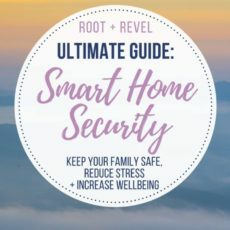 Feel free to email me at kate@rootandrevel.com and we can talk more about it. Thanks! I have tried the Radha Beauty 120ml portable essential oil diffuser and humidifier, The diffuser worked great but only lasted a year. I think oils are healthy. I have never used a diffuser, but do use essential oils. This would be awesome to have in our home. I’ve been trying to live a toxic free, organic lifestyle for such a long time. It’s amazing that I’ve run into your website – the amount of detail you provided for products that aren’t so good for you was an amazing read. 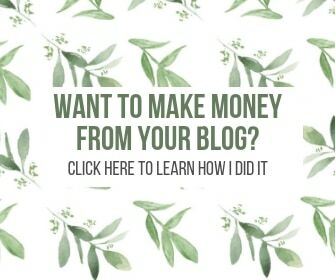 I am new to essential oils. This diffuser looks awesome! Thank you for the overfilling tip! That is so something that I would do! 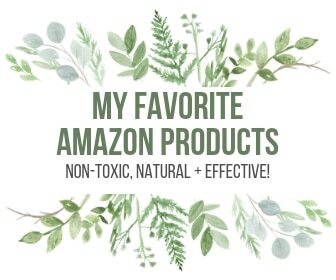 I’ve never tried a diffuser but I really would love to! I love number 4. Mine works great and lasts all night long. I also love that it holds more water then most oil diffusers which is why I went with it. I am OBSESSED with oil diffusers…I need one in every room! I can’t live without having lemon and lavender essential oils being diffused throughout my house! I absolutely love the wood diffuser! I need one in every room! I have used a cheap oil diffuser that I got off amazon. I liked it a lot but all of the changing colors made it hard for me to sleep at night. These are so classy looking with the wood. I felt much more relaxed when I had these going in the evening than without them. I would love to win one!